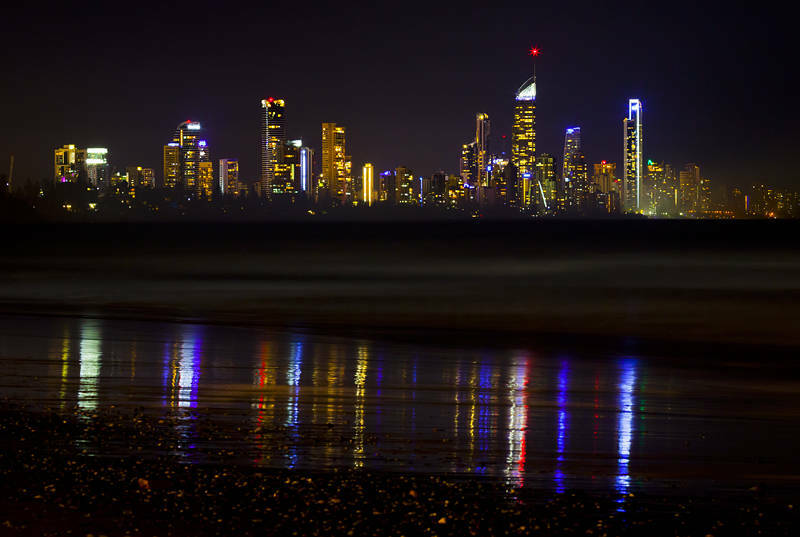 This is the view of the Gold Coast from Burleigh Heads in Queensland, Australia. Today was the first time I have seen the skyscrapers from this side at night so I decided to get a shot of the lights. I was here to have dinner with some friends from Sydney. Great tapas was enjoyed by all.